Any day you get to see Rothko is a good day. 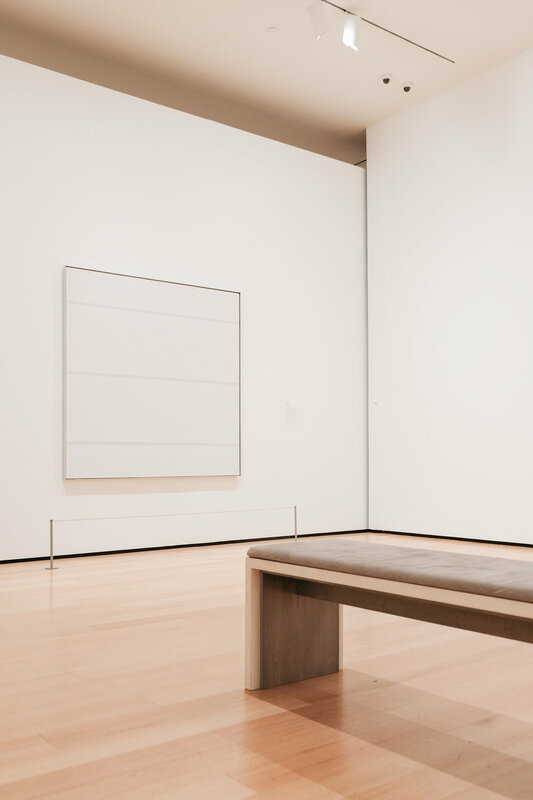 We managed to catch the Mark Rothko: Reflections exhibition at Boston's Museum of Fine Arts, entering through the Seeking Stillness exhibition consisting of other contemporary minimal artworks. Back to Rothko. 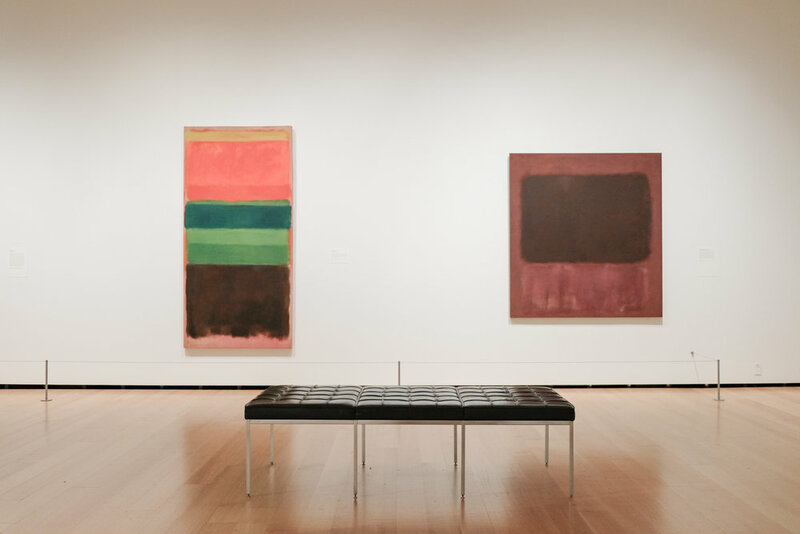 This was a particularly interesting exhibition, as it showed Rothko's work from various time periods of his career, and gave context to his style journey until he arrived at the iconic coloured blocks. 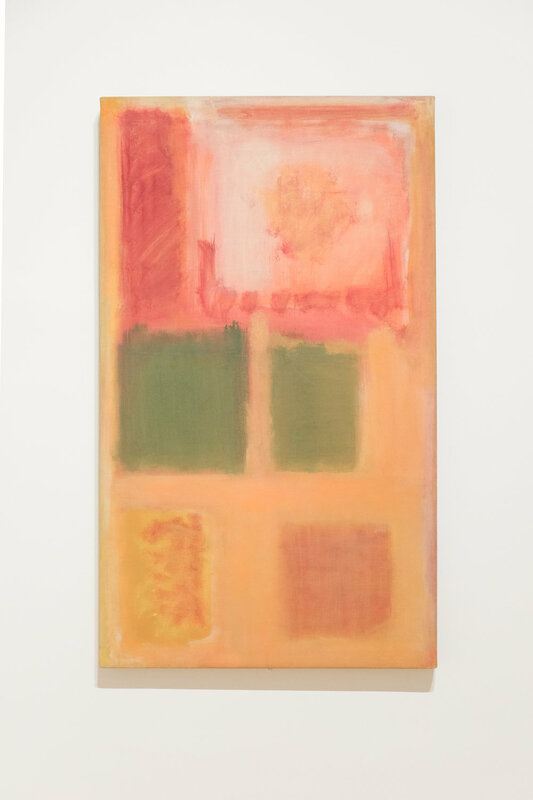 As Rothko developed into his eventual settled style of blocks of deep, complex hues, he described his abstract style as "the elimination of all obstacles between the painter and the idea and between the idea and the observer". 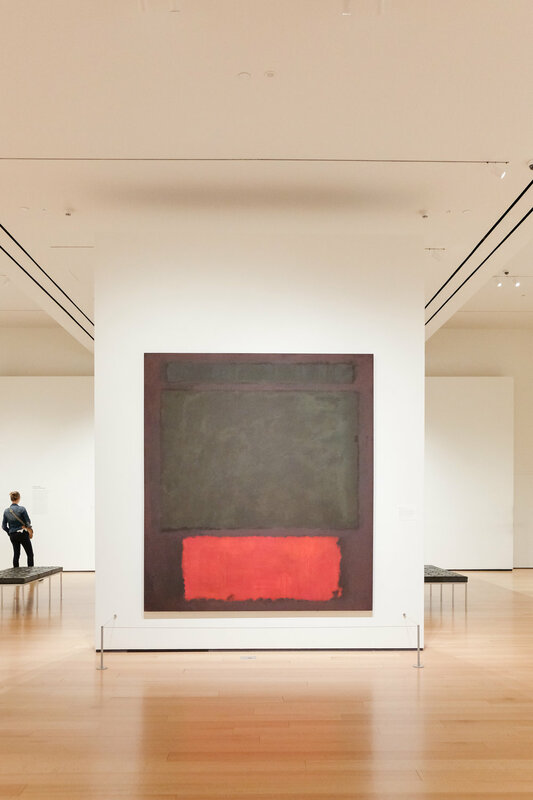 By removing all elements that could lead to external references, Rothko's paintings manages to isolate and engage the viewers' emotions by submerging them into an enveloped experience of colours. 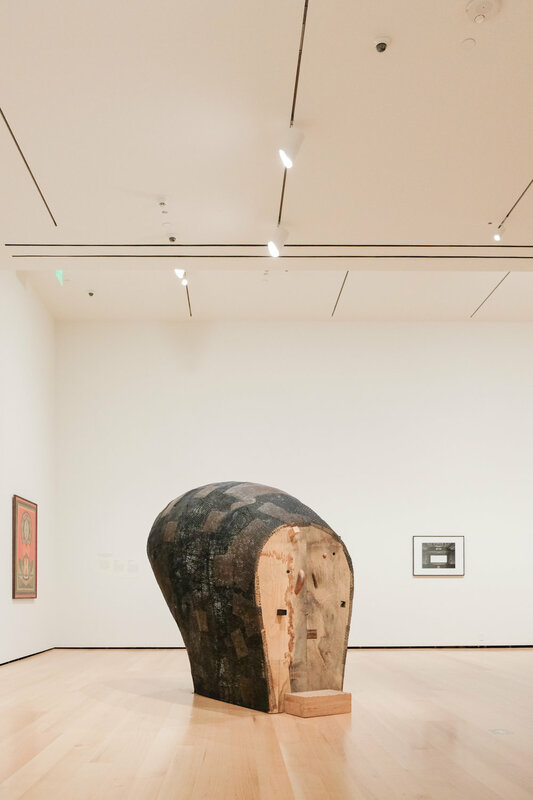 Ultimately, like many abstract expressionist artists, his work invites the observer to give meaning to the art, and for what it's worth, your interpretation and experience as the viewer is as important as anyone else's. 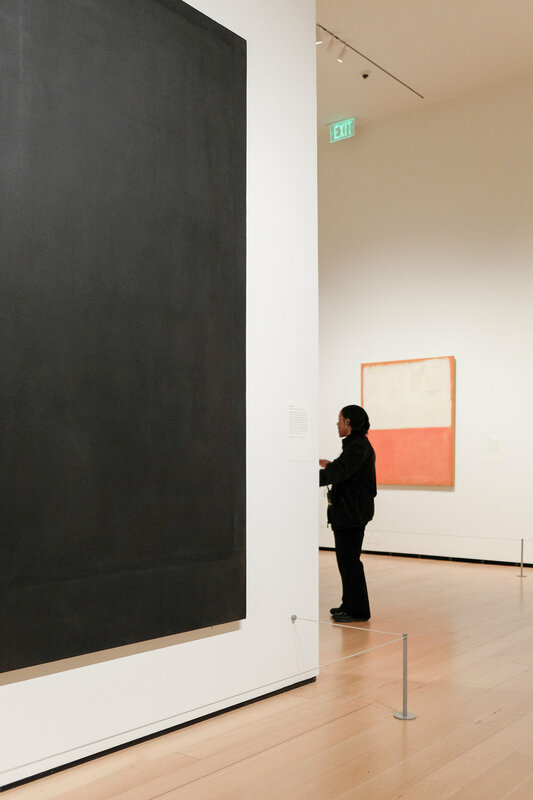 That is the precious equality that can be found in Rothko's art, along with his contemporaries of the field. 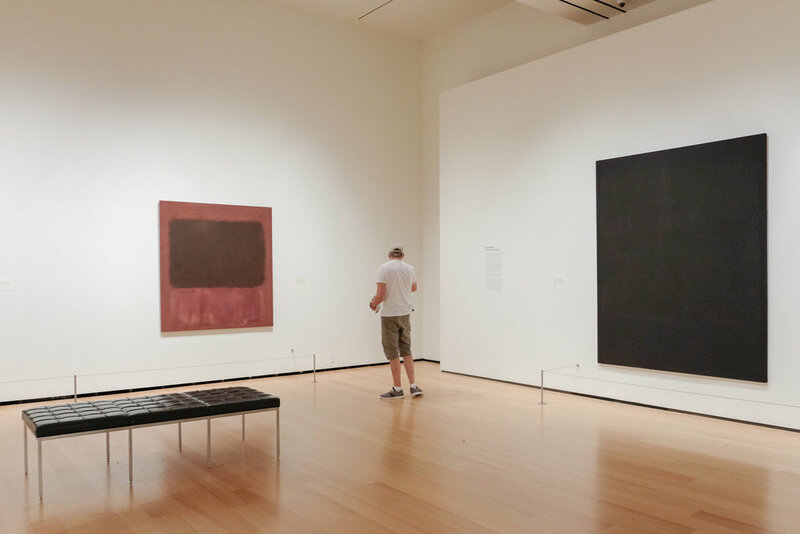 People often describe standing in front of a Rothko painting as a religious experience. 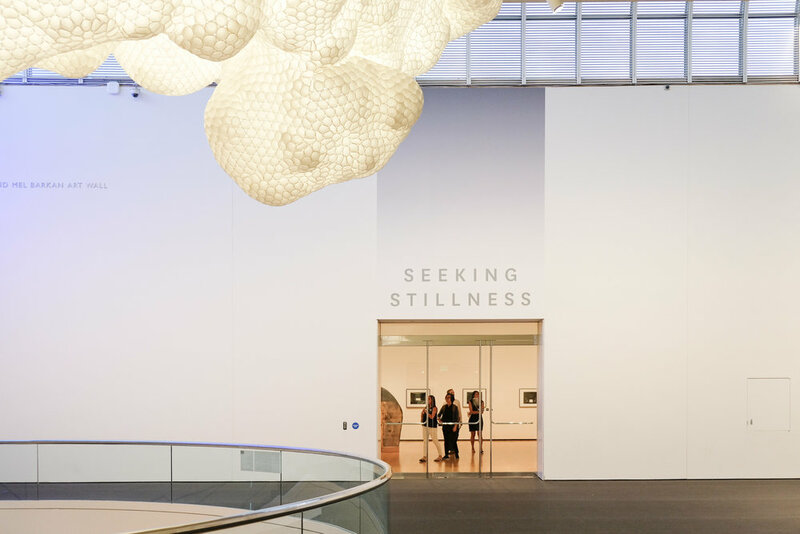 If you're presented with the opportunity to see a Rothko piece, we highly recommend spending some time, submerging into the experience and engaging with the dynamics between the art and one's internal being.